Yes, I gawn and done it. I got me a Mumsnet Blogfest 2013 sponsor! There can be only one mattress fit for your Prince or Princess. A personally embroidered, luxury bespoke children’s mattress is the only option. The English Mattress Company (TEMCO) (www.theenglishmattresscompany.co.uk) has been making the very finest handmade mattresses for over 120 years and knows what it takes to give children the best night's sleep. They have now launched a unique bespoke children’s range of mattresses, providing little princes and princesses with a royal sleep like no other. To launch their new range The English Mattress Company has launched a Made to Measure Luxury Range. Because the mattresses are custom made and built from scratch, they can create pretty much any size or shape under the sun. From circular to a coloured mattress – even embroidered with HRH. It’s a big moment for children when they get their first ‘big bed’, and sometimes even more so for mums and dads. Children usually sleep on the same mattress for around ten years, typically for most of their formative years and often into their teens, so choosing a good quality mattress is vitally important for their quality and quantity of sleep – and that of their parents! Princess and the Pea is a children’s luxury mattress for little girls, which comes complete with a single (wooden!) pea and book, plus their own name embroidered onto the mattress. 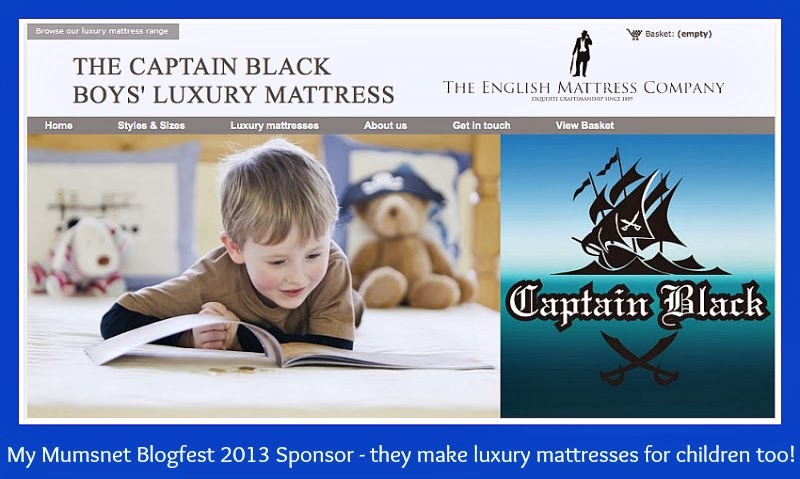 For boys Captain Black children’s luxury mattress has been launched, with golden doubloons and a pirate book, as well as their name on the mattress of course. Each luxury children’s mattress is manufactured to order and wherever possible, the process is done by hand. Not only will children nestle in the splendour of luxury but the high quality materials make for endless nights of slumber fit for kings and queens. TEMCo use the most advanced materials to make their mattresses, combining the best of the new with the techniques and expertise that have taken centuries to perfect. These include a Visco Elastic (memory) foam layer that contours to a child’s body shape for maximum support and a natural Talalay Latex layer – the most comfortable, durable and supportive material available. The mattress is then finished with a health guard quilted top layer which is anti-bacterial and anti-dust mite which, unlike some rigid cotton covers, allows the springs do their job while also offering support for areas of the body that need it like the shoulders and hips. Disclosure: This is a sponsored post in the sense that The English Mattress Company have kindly covered the cost of my entrance to Mumsnet Blogfest, which is Saturday 9th November 2013.